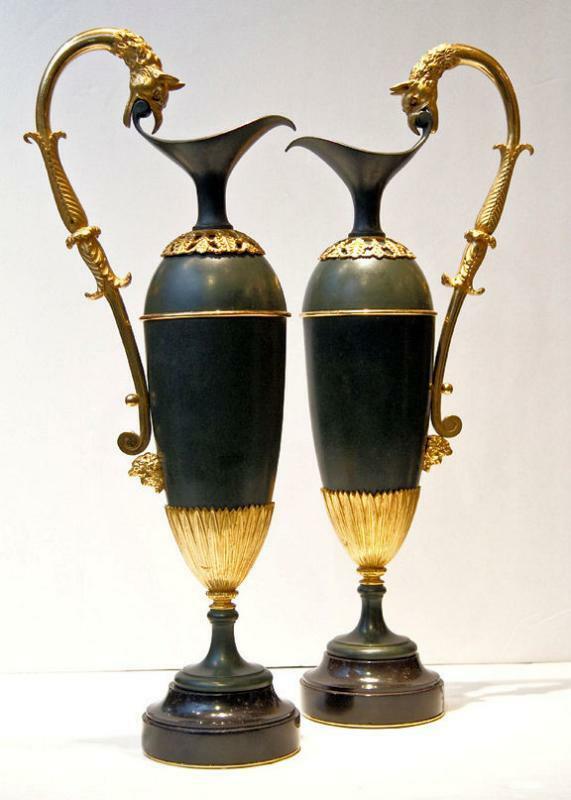 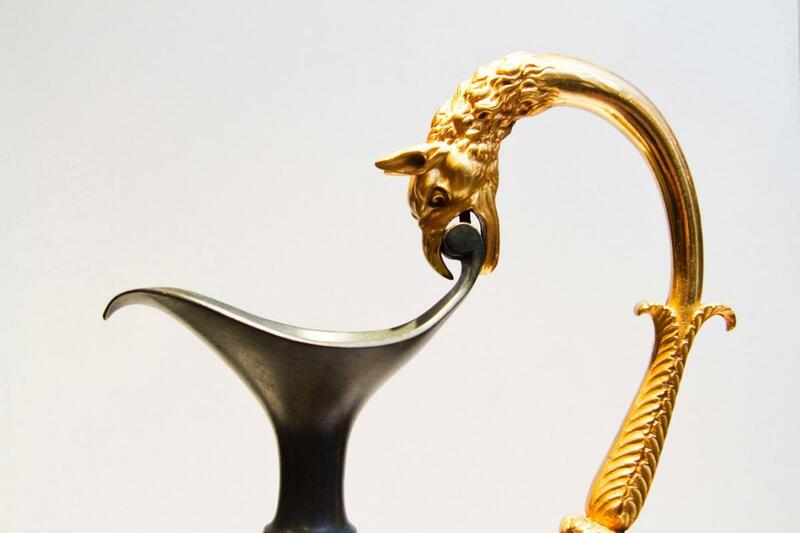 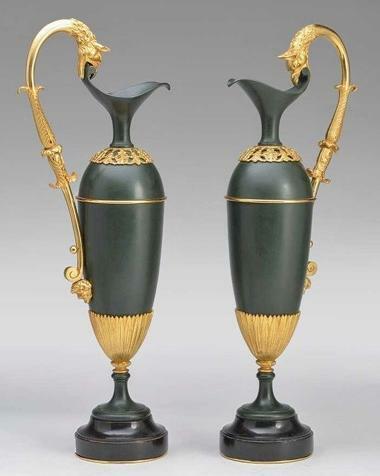 This lovely pair of antique French Empire ewers in the manner of Andre Antoine Ravio (1759-1814) feature urn forms with green patinas, decorated with gilt lotus flower mounts at the base, and with gilt handles with masks and serpent heads at the top, and are mounted upon black marble pedestals. 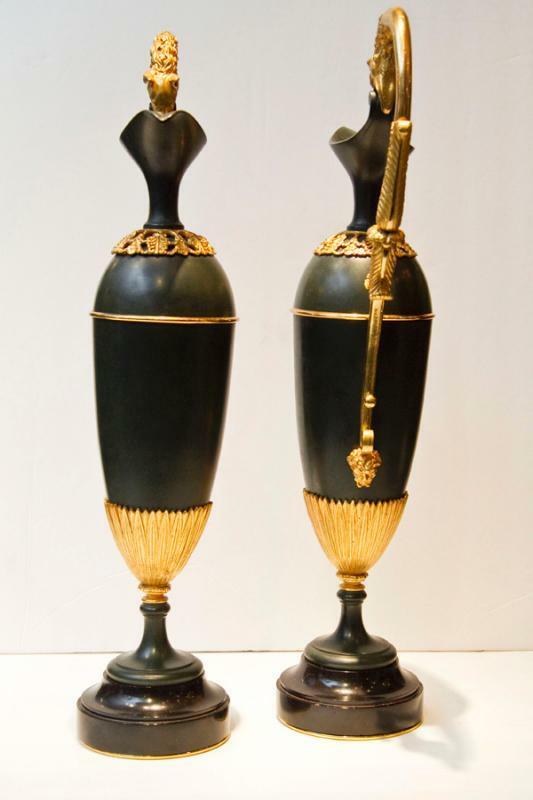 Each measures 19.5 in (49.5 cm) tall and 8 in (20.3 cm) at their widest. 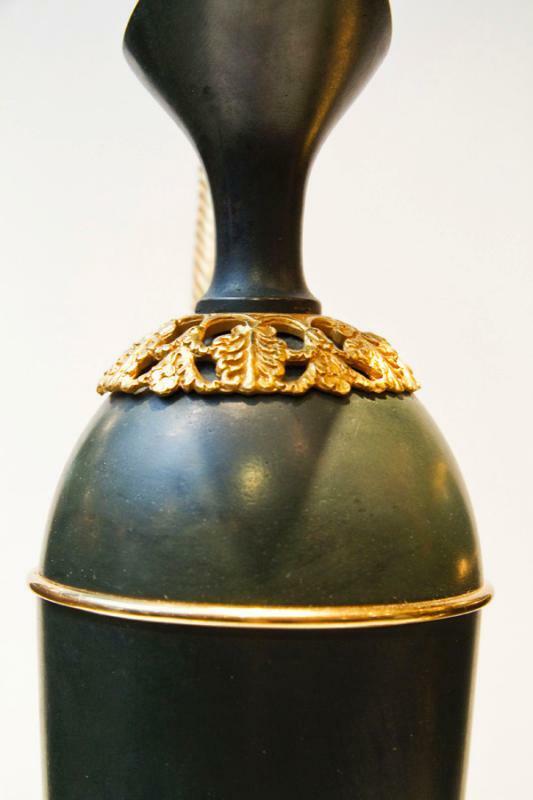 Good condition, with some chip losses to the circular pedestals, rubbing, scratches and oxidation, all consistent with age. 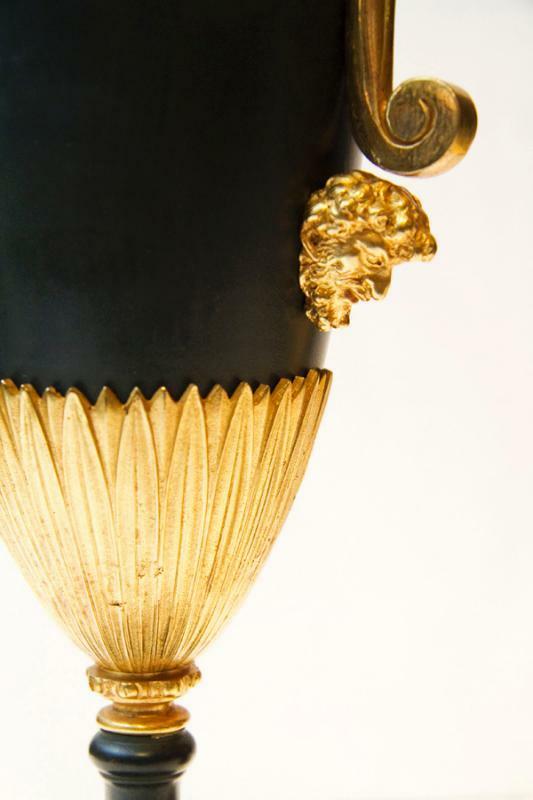 Many of our images are over-exposed and over-saturated. 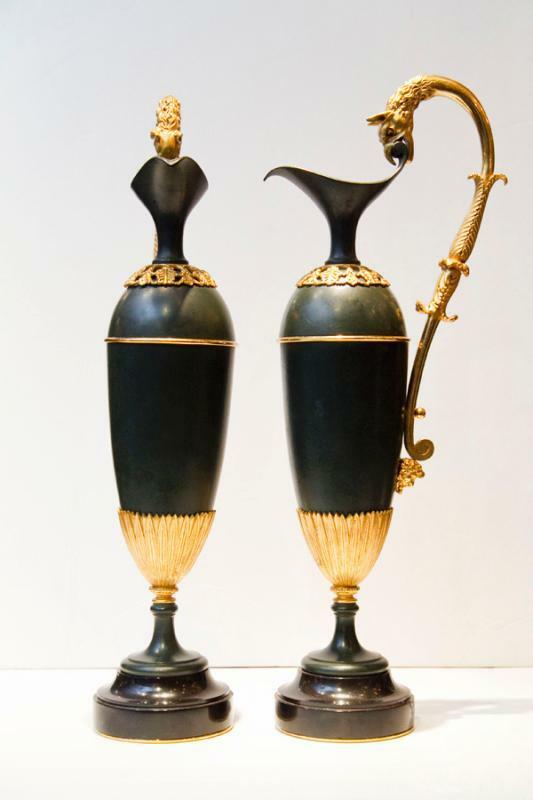 Ravio was a contemporary and rival of Pierre Philippe Thomire (1751-1843), and like he, produced cast bronze objects for royalty and the leading cabinet makers of the First French Empire. 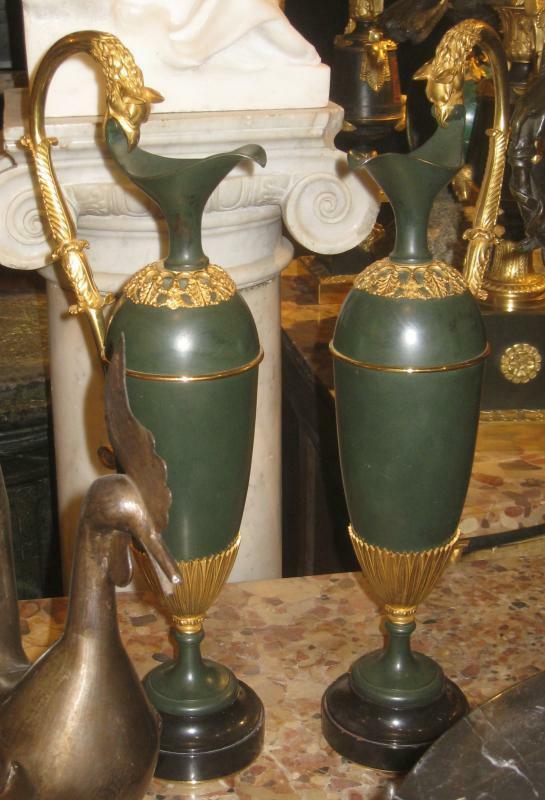 Items Similar To "Pair Antique French Empire Patinated & Gilt Bronze Ewers Urns in ..."